"Climate scientists project that salt water intrusion from rising sea levels will lead to a significant reduction in fish stocks for all west African coastal countries – countries for whom fishing is vital to economic stability. A World Fish Centre report says that Senegal’s economy is 'highly vulnerable' to the effects of global warming, and has a limited capacity to adapt. Other projections include coastal erosion and decreases in rainfall by a further 20%, leading to crop failures and food shortages in agricultural areas, aggravated by further desertification in the east of the country as the Sahara expands." (Africa Talks Climate, 2009). Senegal’s agriculture industry occupies roughly 70% of the country’s working population and contributes 15% of the GDP. 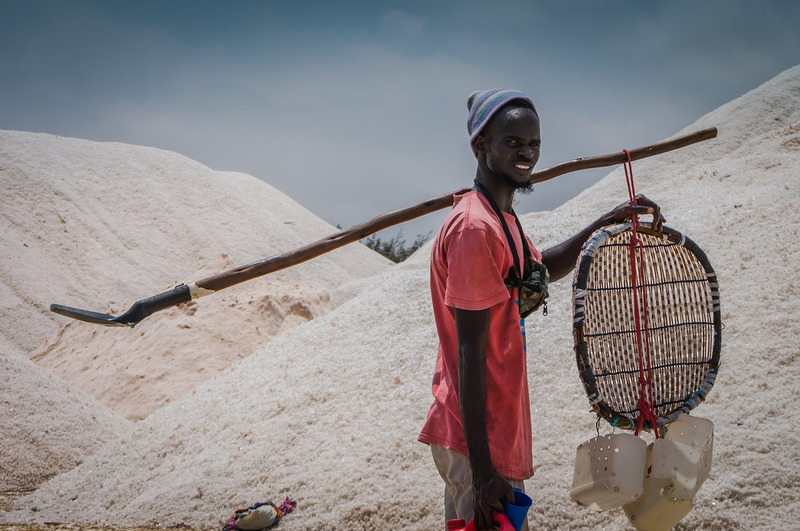 In the coastal south, 40% of the population depend on fishing for employment, and many more for dietary protein: nearly two-thirds of Senegal’s population live near the coast. Rainfall is relatively high and dependable in the south, but in the north the climatic shift it has experienced during the past 25 years has resulted in crop and livestock production becoming even more difficult, as desertification extends further into the country from the Sahara. Like its neighbouring countries, Senegal was hit by serious drought in the late 1960s which has affected the country’s ecology and environment. Average annual rainfall and agricultural production have decreased, livestock mortality has increased, and the country’s forest resources are disappearing. This NAP in focus country briefing on the process to formulate and implement National Adaptation Plans in Senegal considers firstly the country context and the climate change risks. The groundwork for supporting NAPs is considered, covering the policy, planning and budgetary framework, priority adaptation sectors in the NDC, climate assessments, the implementation of adaptation actions and plans thus far. The briefing contains a timeline of the process to formulate and implement NAPs in Senegal. Challenges, successes and opportunities are also discussed. This publication is available in French and English. The"Strengthening Land and Ecosystem Management Under Conditions of Climate Change in the Niayes and Casamance Regions in the Republic of Senegal" project supports ecosystem-based adaptation and builds the enabling environments required for long-term climate resilience. The project is funded by the Global Environment Facility Least Developed Countries Fund. According to Senegal’s NAPA, the country is experiencing repeated droughts that have severely changed the water regime and vegetation cover. In addition, periodic flooding is also experienced. Targeted project areas (Niayes and Casamance) are being impacted by climate change and variability that can be summarized as: reduced rainfall (200-400 mm from north to south); high rainfall variability within and between years; increased rainfall pauses; shortening of the rainy season (the country has one rainy season with an average duration of 3 months); and an increase in temperature. The impacts of climate change combined with human activities in the project areas, as in the rest of the country, result in a dramatic degradation of ecosystems that are the only means of survival for poor people in rural areas, which account for the vast majority. There are serious threats to agricultural production in eco-geographical areas of Niayes and Casamance due to climate change impacts such as water shortage, land degradation, salinization, siltation of valleys linked to soil erosion in highlands, and degradation of habitats among the most productive and sensitive such as mangroves and coastal areas. Almost all social, economic, and environmental aspects in the two project areas are already seriously affected negatively by observed climate change impacts. It is also clear that these impacts will worsen in the short term and perhaps medium to long term as well, unless appropriate solutions are implemented. The desired alternative situation would be to promote the adoption by local communities of systems and practices that are resilient to climate change and variability. The implementation of this alternative requires the removal of several barriers including: inadequate production systems to cope with climate variability and change; weak institutional capacities for the production and use of climate information; insufficient capacity of local communities, technical services and local governing bodies to develop and implement climate change adaptation practices; and, limited technical and financial capacities of producers and households. This project, classified as a priority in Senegal’s NAPA, is designed to contribute to the desired solution through its main objective to strengthen the enabling environment for the implementation of appropriate adaptation measures based on ecosystem management in Niayes and Casamance. The project is implemented through the Senegal Directorate of Water, Forests, Hunting and Soil Conservation. Despite various strategies, policies and measures that were undertaken, the current socio-economic situation in the Niayes and in Casamance is characterized by low resilience to climate change and variability. The weakness of the physical environment (low and erratic rainfall, low groundwater levels, salinization and soil degradation, loss of biodiversity, regression of mangrove and forest) under high human pressure and degradation of systems and production tools have led to falling incomes of local people. The sources of income for local communities mainly based on the services and products from these ecosystems will be increasingly affected by the impacts of climate change and variability. Unless appropriate solutions are implemented, these effects will have negative impacts on productivity in all sectors, resulting in difficult socio-economic conditions, including increased poverty and an impediment to national development efforts. The long-term solution promoted through this project would be to promote the adoption of integrated agro-sylvo-pastoral systems and practices that are resilient to climate change and variability, that will improve horticulture and rice production, strengthen the protective and production function of the band of casuarinas and ensure sound management of water resources, forests and mangroves for the benefit of local communities in the project target areas of Niayes and Casamance. The long-term solution for local communities’ sustainable resilience to climate change will necessarily involve an understanding of climate information with the implementation of adequate financial, institutional and technical measures for a better adaptation of the socio-economic activities to climate change. Therefore, these challenges, sources of population vulnerability must be overcome by the producers to adapt to climate change in order to increase the resilience of the production systems in the intervention sites identified in the Niayes and Casamance. Output 1.1: The climate, meteorological and hydrological network for the target areas and the capacities are strengthened in order to produce reliable data needed to monitor and analyze hydro-climatic phenomena. Output 1.2: An integrated information system producing climate information and generating the products needed to identify risks related to climate change (e.g., maps for risk, vulnerability, etc.) is developed to help identify efficient adaptation options and develop actors’ capacities in adaptation. Output 1.3: A platform for sharing information is established to support the management of climate risks and long-term planning for adaptation. Output 2.1: At least 100 hectares of mangrove plantations are managed sustainably to restore this important ecosystem as a means of support (oyster farming, for example) and reduce the impact of swell and coastal erosion. Output 2.2: Multi-purpose community forests resilient to climate change tested in the vegetable gardens of Niayes to protect crops from wind erosion and prevent encroachment by sand dunes. Output 2.3: At least 10 community groups, particularly women’s groups, will be supported in Casamance to improve climate resilience through agro-pastoral and agro-forestry activities and sustainable water management practices in rice paddies. Outcome 3- Community, household, and individual capacities will be strengthened for greater advocacy towards climate change responses and effective support to adaptation efforts. Output 3.1: Local governments and decentralized technical services have the necessary capacities to support communities in implementing adaptation activities. Output 3.2: The benefits from implemented adaptation solutions are monitored and shared with government officials, target communities and partners to inform them about project results replication opportunities. The "Senegal National Adaptation Plan" project will strengthen the capacity of sectoral ministries and local governments to better assess the implications of climate change and to adjust existing policies and budgets for the integration of medium- and long-term climate change risks and adaptation measures. With US$2.9 in proposed funding from the Global Environment Facility Least Developed Countries Fund, the project will develop technical and functional capacities of climate and hydrological monitoring centers, and build the necessary instruments to prioritize climate change adaptation into national and subnational budgets and plans. As part of an early response to the challenges posed by a variable and changing climate, the Government of Senegal (GoS) formulated and published a National Adaptation Programmes for Action in 2006. The NAPA seeks to facilitate capacity building and in particular address urgent and immediate adaptation needs. However, while a number of development projects are currently being conducted in the agriculture and fisheries sectors , few take into consideration the complexities and multi-sectoral impacts of climate change. Furthermore, few economic assessments in Senegal showcase the economic impacts of climate change (with and without adaptation considered as a factor). As a result there is very little political traction for implementing proactive adaptation responses and climate risk management. In the absence of systematic action or a strategic framework to guide adaptation over the medium and long term and without the mainstreaming of climate change responses and climate risk management into national development planning and budgeting processes, climate change will continue to pose a serious threat to hard-won development gains. Given the uncertainties on future climate and economic circumstances and the high risks that need to be accounted for, there is need to start building “country systems” (including capacities, institutions, mandates and information sources) at national and local levels to support medium- and long-term planning and budgeting. With resources from the GEF-LDCF, the capacity of sectoral Ministries, local governments and communities will be strengthened to better assess the implications of climate change, and to adjust existing policies and budgets for the integration of medium- and long-term climate change risks and adaptation measures. Relevant national policies will be targeted such as: the Strategy Paper on Poverty Reduction III (2013 - 2017), the National Programme for Local Development (PNDL), the IWRM Plan, the Ministry of Environment and Nature Protection’s Multiyear Framework of Sector-based Expenses (DPPD ) and local development plan. The National Adaptation Plan process offers an opportunity to take a more considered approach, working towards transformational change in the country’s capacity to increase resilience to climate change. By promoting adaptation investment into key development sectors and territorial plans , it will ensure environmental, social and economic development in a long-term, sustainable and resilient manner. Outcome 1 - Climate and hydrological monitoring centers (ANACIM, DGPRE), research centers ( LPAOSF/UCAD, CSE, ISRA ) and decisions makers ( staffs from relevant ministries and target councils/departments ) will have the capacity to produce and utilise information on historical and future climate and expected impacts to plan short- and long-term responses and adapt to climate change. Output 1.1. The generation and use of climate, geophysical, geotechnical and socio-economic data by c limate and hydrological monitoring centers (ANACIM, DGPRE) and research centers (LPAOSF/UCAD, CSE, ISRA) to support the projection of climate risks. Output 1.2. The establishment of data collection/production, information and communication platforms. Output 1.3. The design and institutionalization of training kits and programmes to improve decision maker’s skills. Output 1.4. The identification & categorisation of adaptation options to address priority vulnerabilities in target national and sectoral policies. Output 2.2. A climate readiness strategy developed and implemented to ensure that necessary funds will be in place to support the adaptation options identified. Outcome 1 - Climate and hydrological monitoring centers (ANACIM, DGPRE), research centers (LPAOSF/UCAD, CSE, ISRA) and decisions makers (staffs from relevant ministries and target councils/departments ) will have the capacity to produce and utilise information on historical and future climate and expected impacts to plan short- and long-term responses and adapt to climate change. The "Promoting Innovative Finance and Community Based Adaptation in Communes Surrounding Community Natural Reserves (Ferlo, Niokolo Koba, Bas Delta Senegal, Delta du Saloum) in Senegal" project will work to create financial incentives to cover the incremental costs of climate change adaptation and support capacity building for vulnerable households and community groups to build holistic responses to climate change. With US$5.4 million in funding from the Global Environment Facility Least Developed Countries Fund, the initiative will assist Senegal to pursue a "transformational" pathway towards resilience. In the long term it will empower local institutions to provide adaptation services to vulnerable communities. The LDCF-funded initiative will assist Senegal to pursue a "transformational" pathway towards resilience. Under this approach, in the long term, local institutions will be able to provide adaptation services to vulnerable communities. To achieve the project goals, changes in practices are needed, specifically to establish attractive funding mechanisms , linked to existing local financing systems, to cover the incremental costs of climate change adaptation, and to provide investments and capacities to vulnerable households and community groups for holistic responses to climate vulnerability and future changes. The project will complement the existing baseline by promoting long-term planning on climate changes and facilitating budgeting and establishment of innovative financing mechanisms to support climate change governance at communes’ levels. More specifically, the project will review local development plans (including RNC plans) to (i) integrate climate adaptation priorities and resilience, (ii) set up innovative & sustainable financial mechanisms, (iii) improve the capacity of local credit and saving mutuals to finance adaptation projects and also the performance of local leaders in managing adaptations finances. The response to climate vulnerability and changes will be oriented toward investing on the restoration of key livelihood resources (natural reserves, pastures, water points, etc. ), establishing minimum community based early warning systems and sustaining climate-resilient agro pastoral and diversification activities. Target communities, local government leaders and other supporting institutions, will receive support to build capacity on climate change to inform improved decision making. This is critical for informing the design of feasible, credible and useful adaptation options and support. This innovative approach allows local government to make changes to planning instruments that affect existing local developments by incorporating climate change considerations. Through the project, communities will have access to funding from a number of competitive grants (public & private) to address adaptation issues. The coordination arrangement, involving policy makers, extension services, private sector and community based organisations, is a major innovation and will help to articulate institutional communication - both educational and social - at different levels. The overall project will also generate socio-economic benefits at the local level by involving communities in the 203 villages (at least 50,000 households) in a much more transitional approach in the use of natural resources through the dissemination of practices, technologies and techniques, which are expected to improve the productivity and the resilience of agro-sylvo -pastoral activities. Long-term benefits are also expected with investment aiming at restoring communities' "Natural Capital," and providing relevant climate information. In term of sustainability , the decentralized entities (councils and villages) will be empowered in implementing adaptation investments, strengthening community organizations in order to ensure that physical infrastructure and other investments are well managed and maintained after the project closure. Capacity-building initiatives and awareness-raising will achieved through the social and environmental sustainability, and stakeholder involvement will be strengthened through adequate social mobilization and sensitization initiatives (workshops, forums, publications, community radios’ programmes, etc.). In addition, the knowledge base will be improved, and the project will define and implement an adequate system for knowledge management and information sharing. The natural regions of Ferlo, Niokolo Koba, Bas Delta Senegal, and Delta du Saloum play a key role for livelihoods, as the communities are directly dependent on their natural assets, such as water, pasture, forests and fertile soil for a living. Recognizing this richness, the communities of 203 villages established about 26 Community Natural Reserves (RNC) as well as nine credit and saving mutuals to improve the living conditions of households, specifically women groups. However, with the effects climate change, both the natural capital maintained under these RNC and people’s economic assets will reach a tipping point. Indeed, in Senegal, droughts are the result of climate variability that more recently has manifested by a late onset of the rainy season, irregular spatial distribution of rains, and an early end to the rainy season. Projections of mean annual rainfall averaged over the country show a trend towards decreases, particularly in the wet season. The drastic reductions in water availability at critical times (e.g. in the dry season or in drought years) and at critical locations (e.g. in the more populous areas or where livestock congregates) have direct and catastrophic impact on livelihoods of communities. Natural grazing grounds in Niokolo Koba & Ferlo will be significantly diminished and livestock watering made difficult under climate change scenarios. This situation leads to localized conflicts between transhumant and sedentary communities, especially during the drought periods, when grazing grounds and water resources are particularly scarce. Among other predictable impacts, climate change is also expected to result in a marked increase in the incidence and intensity of bushfires in Niokolo Koba & Ferlo. Fire can have catastrophic impacts on livelihoods, notably because of the importance of pastoral resources in target regions . Finally, in Saloum Delta, the reduction of water table leads to the salinization of agricultural lands. Many valleys in Saloum are now affected by salted water intrusion resulting from reduced rainfall and lack of appropriate storage under changed conditions. Under these conditions, the capacity of communities will remain weak to sustain current efforts in preserving natural capital and increasing economical capital. Output 2.1. Investments for structural adaptation measures channelled trough local budget (e.g. restoration of natural reserves/pastoral areas/water points, research development, Early Warning Systems, management of supply chains, etc. Output 2.4. Mechanisms for capturing and dissemination of key experiences and good practices established for replication. Climate change in Senegal is predicted to decrease overall rainfall but increase the intensity of rain when it occurs. Along with increased air temperatures and sea level rise, the effects of climate change are projected to impact agriculture, water resources and tourism most acutely, which are also the pillars of the country’s economy and source of income for approximately 70 percent of the population. Climate change adaptation strategies are therefore vital to protecting these industries and the livelihoods of the Senegalese people. Following on from the ratification of the UNFCCC (1994) and the Kyoto Protocol (1991), Senegal has submitted three National Communications (NC) to the UNFCCC: the First NC was submitted in 1997; the Second NC in 2010; and the Third NC in January 2016). During this period (2011), Senegal also established the National Climate Change Committee (COMNACC) in 2011 and 14 Regional Climate Change Committees (COMRECCs) to support adaptation at regional levels. These committees will orchestrate the implementation of adaptation priorities outlined in Senegal’s INDC, which later became their First NDC when they ratified the Paris Agreement in September 2016. Senegal’s INDC provides a comprehensive set of conditional adaptation priorities, covering a range of areas (climate smart agriculture; livestock; disease surveillance and control; sustainable urban planning; coastal fisheries; water management; disaster risk management; and ecosystems and biodiversity) which the World Bank lays out (in English) in an INDC summary document. The NAP process will align with these ambitions and stay focused on integrating adaptation into budgeting and planning in the water resources, agricultural and tourism industries, whose preservation is fundamental to Senegal’s development goals and the SDGs. How has the NAP-GSP supported to date? The workshop took place from 8 – 10 July 2015. With support from the Ministry of Environment and the Ministry of Economy, as well as UNDP Country Office, the workshop was designed to support the government launch the NAP process at a national level and identify entry points for integrating disaster risk reduction with climate change adaptation, as well as outline next steps for mainstreaming adaptation in the fisheries sector. The workshop gathered a total of 60 participants from relevant ministries and civil society. The report has outlined 3 workstreams, to be undertaken simultaneously, by which Senegal can achieve their NAP goals; Workstream 1, piloting the NAP and enhancing coordination and capacity to implement CCA; Workstream 2; mainstream Climate Change into national and sectoral planning and budgeting; and Workstream 3, reporting, monitoring and review. The Science-Based Support of the NAP Process in Francophone LDCs in Sub-Saharan Africa (PAS-PNA) project, is funded by the development arm of the German government (GIZ), who the NAP-GSP works closely with when their support functions overlap. 20 April, 2017, Senegal - A UNDP Climate Change Adaptation Exposure captures the vulnerabilities of sub-urban communities in Dakar and identifies the impacts of climate change. It also looks into the future at adaptation planning. 15 July 2015, Dakar, Senegal - A UNDP mission for the NAP-GSP took place between 8 - 15 July 2015, to support the Government of Senegal in launching their NAP process at the national level, and to help to identify entry points for integrating disaster risk reduction with climate change adaptation, as well as to identify the next steps for the fisheries sector. 8 - 10 July 2015, Dakar, Senegal - NAP-GSP facilitated a NAP stakeholder workshop with the Ministry of Environment and is assisted in a fisheries planning consultation to start the NAP process at the sector level, in cooperation with the government, the UNDP Country Office and USAID. Le PAG-PNA attend la désignation du point focal PNA du Sénégal pour organiser une téléconférence de suivi. Présenté par la délégation du gouvernement du Bénin à la Atelier régional de formation en Afrique Organisé par le PAG-PNA - Addis Abeba, Ethiopie, 21-24 avril 2014. The Project Document, from May 2010, gives detailed information on the TACC Senegal project. The ProDoc includes a Situation Analysis, with the Global, National and Regional Context, Climate Change Context, Past and Ongoing Activities in the country, Related Donor Assistance, and a Barrier Analysis. Also included is the Project Strategy, Operational Approach, Results and Resources Framework, Budget and Annual Work Plan, Management Arrangements and Coordination Structures, the Monitoring Framework and Evaluation and the Legal Context. The Down to Earth: Territorial Approach to Climate Change (TACC) is part of a partnership between the United Nations and sub-national governments for fostering climate friendly development at the sub-national level. This partnership is a collaborative effort involving UNDP, UNEP and eight associations of regions. Providing technical support to up to 20 regions to identify policy and financing instruments to implement priority climate change measures. Click here for more information on the Overall TACC Project. The beneficiaries of the Down to Earth TACC project are sub‐national authorities who seek technical assistance in understanding and responding to climate change. Developing integrated climate change strategies and action plans to assess development options that are robust enough to withstand different future climatic conditions. Strengthening capacity of sub‐national authorities to integrate climate change into sustainable development planning and programming. Identifying no regrets/negative costs/low‐cost adaptation and mitigation measures that promote long‐ term sustainability and poverty reduction. Enhancing the capacity of regional and local government to enact regulatory measures, as well as to take advantage of new sources of environmental finance, to implement these no regrets/negative cost/low‐cost options. The overall objective of the project, namely supporting low-carbon and climate change-resilient local development in Uganda, will be achieved by supporting local decision-makers and planners to design integrated climate change (adaptation and mitigation) policies, strategies and formulate concrete actions and investment plans that promote long-term sustainability and poverty reduction in the context of local / regional development.